Mango & Tomato: What's the Deal with Shake Shack? What's the Deal with Shake Shack? I love meat. Quite a bit. I can't imagine being a vegetarian. When I heard that Shake Shack was opening a location in DC, I got excited: shakes, burgers, and fries: sounds like a fun idea to me. There was a lot of buzz all over twitter and Internet about the new burger establishment in DC, but I decided to wait a few weeks before trying out this new-to-me burger place. Last week I met up with Amy, and happened to run into Lindelle, for lunch at Shake Shack. I'll admit, despite my best intentions, my expectations were high. The menu is pretty short, which is not a bad thing. 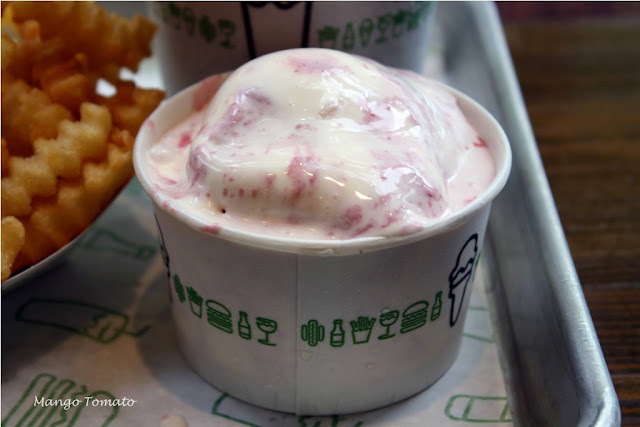 I decided on a cheeseburger, fries, soda and could not leave without also ordering a Fromage Blanc Raspberry Swirl custard. 3) the burger was pretty basic: bun, cheese, pickles, onions, tomatoes and lettuce. It was fresh, filling, and did not fall apart, but it reminded me of a very well made Burger King whopper. You make your own conclusions. This wasn't a bad lunch by far, but I was slightly disappointed. With many other burger restaurants available in DC area, I don't think I'll be coming back to Shake Shack any time soon. Where WOULD I go for burgers? 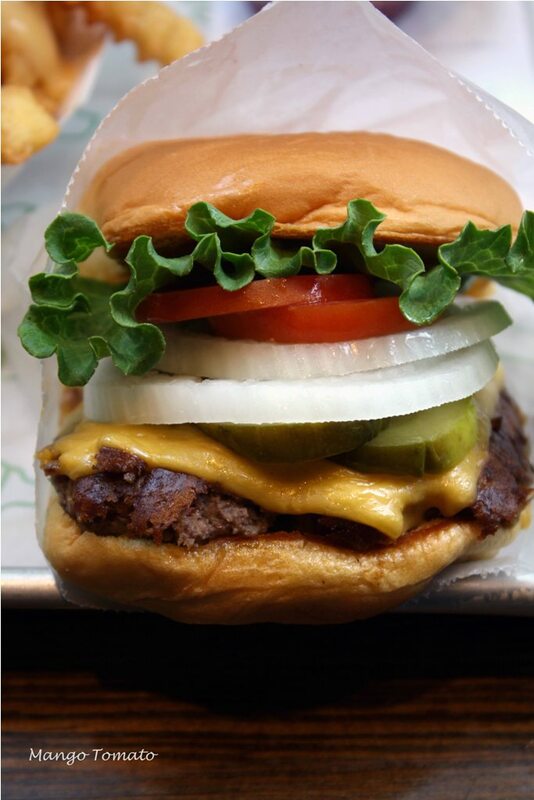 Questions for you: 1) Have you been at Shake Shack? What did you think? 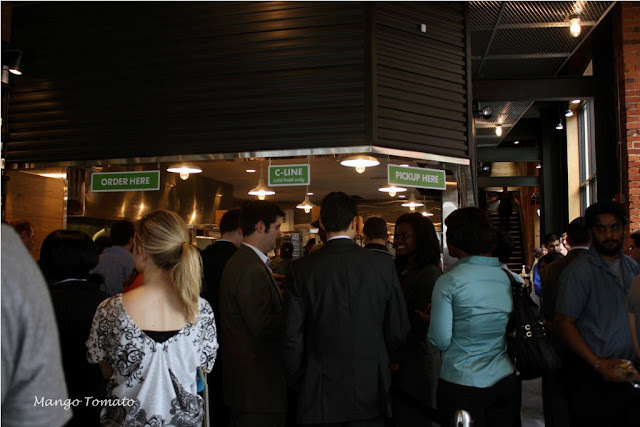 2) If you live in DC, what's YOUR favorite burger place? ive been to the ones up here in ny, in madison park and the one at citi field...the line is always forever but the food is okay(i liked the fries better at mets shake shack). the hype is sort of overwhelming, although the products are pretty high quality. 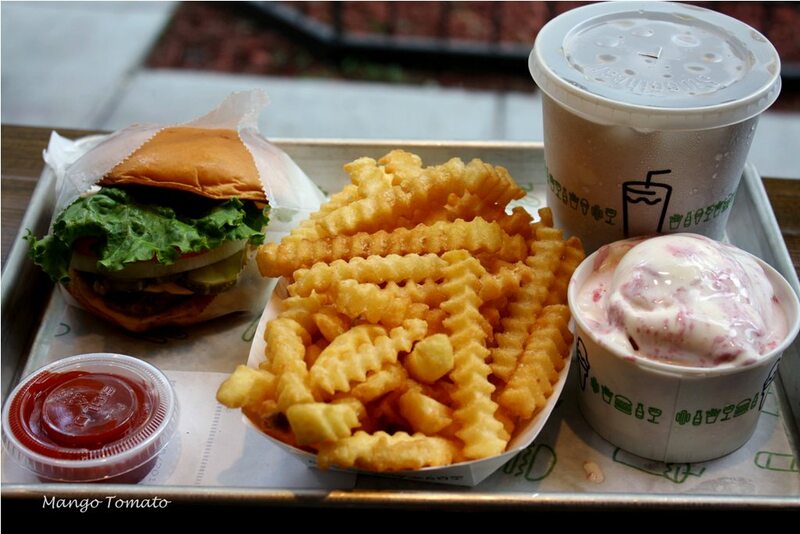 I have been to Shake Shack in NYC and loved it! 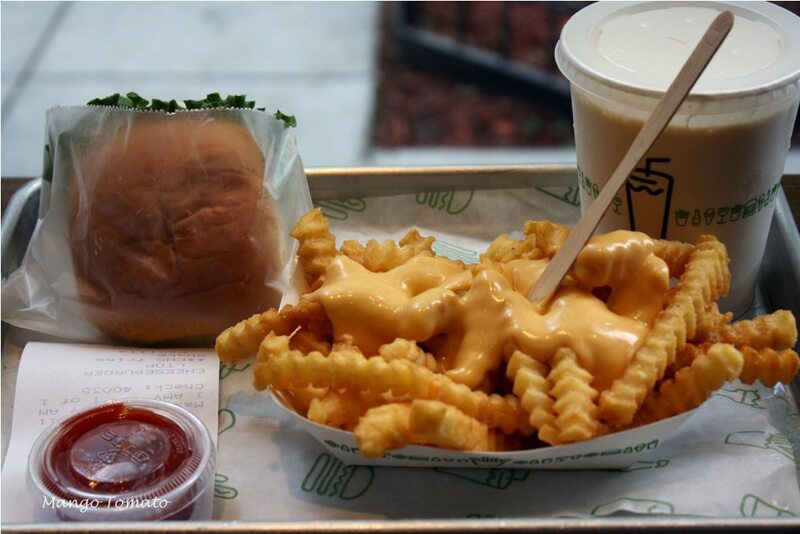 You're breaking my heart -- I love Shake Shack! Madison Square Park is a midsummer must for us here. In fact, now I'm craving a Shack burger! Thanks for the review - I'm still planning on trying this place out. So how does it compare to Ray's Hellburger? Also, they spelled "fromage" wrong - hoping they'll see this and correct it. 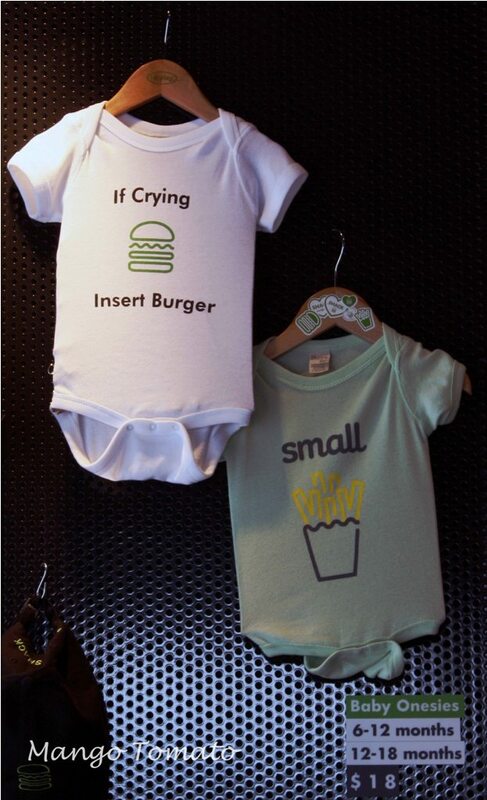 I'm now officially hungry for a nice juicy burger! I agree, the first thing I thought when looking at your pictures was that the decor looked really neat. Ooooooo can't wait to come back up!! Meister, oh no! I don't want to break anyone's heart ;) It's just my opinion. I'm glad others like it! I've yet to try In-N-Out. Francesca: Hell's Burger Too is just a lot more interesting as far as the toppings. Also, their burgers are a lot bigger: one is enough for two people. I happen to work literally across the street from the new Shake Shack on Connecticut Ave for a professional services firm that works on developing countries. The previous tenant of this restaurant was what we called Ruddfuckers as a play on its name. It was just another hamburger joint without a real variation on the grilled hamburger - just a lot of toppings that were just so - so. Evidently, Shake Shack is famous for its shakes. That would be an innovation for this neighborhood, which otherwise is pretty competitive for takeout food. BTW, Right above the new Shake Shack is a guitar shop that has been there for 94 years and is really famous (Paul Simon just shopped there last week- who knew). Downtown DC has its funky secrets. I meant to add to the previous post that I really like your blog's design and also the content you post. Very personal in a conversational way. You're obviously a really good photographer which can be very helpful to your readers. Also love mangoes. I've been to Shake Shack in NY, and although I thought it was good, its not a place I feel that I need to rush back to either. THe best thing I had was a chocolate shake there. I'm actually going to a burger place myself tomorrow for dinner. It's apparently THE burger place to go, so can't wait to try it out! The thing about SS is that they use Pat LaFrieda burgers. Look him up, he's supposed to be one of the best meat providers in Manhattan (and one of the most expensive). Also, SS uses potato rolls, which is the best roll for a burger, if you ask me. If you ever do go out west, and find an In-N-Out, make sure to get a Double-Double Animal Style. Trust me! I lived in Cali for 4 years and often dream of that burger. I did write a quick blog post on it (http://dembellyfull.com/?p=344), sorry for the self promotion, but it's relevant. Still, Ray's has the #1 spot, as far as I'm concerned. Yum! 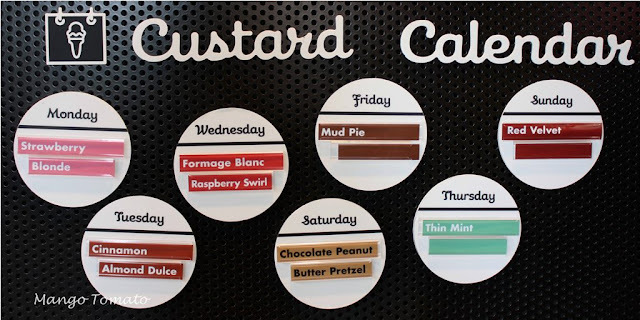 The custard looks great! What a creative flavor! I've been there and it was okay. I appreciated that the bun was brioche and the fries were really crispy. The custard is great though. Those onesies are super cute. Sorry it wasn't a better burger experience. I'm a fan of Good Stuff Eatery. I haven't been to Rays Hell Burger yet. I'm dying to go though! great review -- i whole-heartedly agree with EVERYTHING you said. good decor, frozen fries, BK/McDo burgers, custards/shakes are where it's at. but still not worth the line. I agree! Shake Shack is good, however I am obsessed with Ray's Hellburger. Hands down the best burger I've ever eaten. 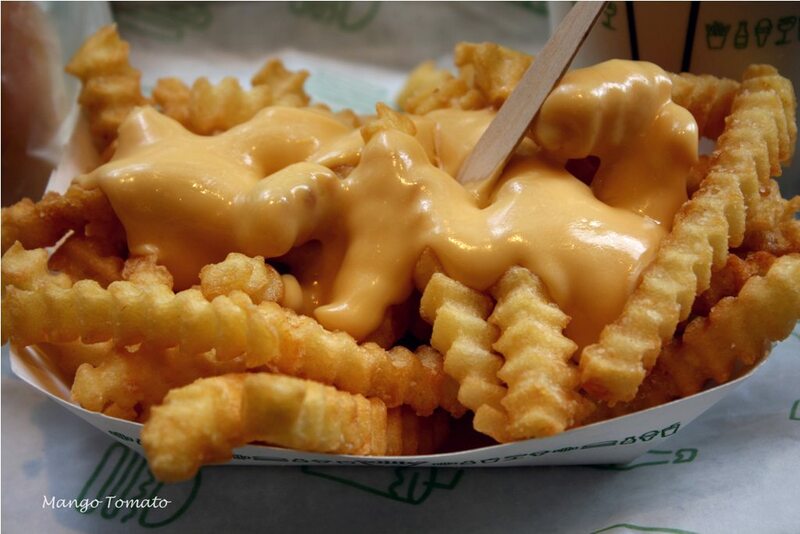 Shake Shack does make killer fries however, and its right by my office so how can I resist?!? !